Only one week until Henry’s House will be at Kaleidoscope Markets again. It was such a lovely market in February that I decided I had to go again. Kaleidoscope Market is held every month on the 2nd Thursday of the month. This month it will be Thursday 10th March from 8:30am to 1pm at the Lake Kawana Community Centre. Henry’s House will be having a SALE at the market and it’s only for customers at Kaleidoscope Market. 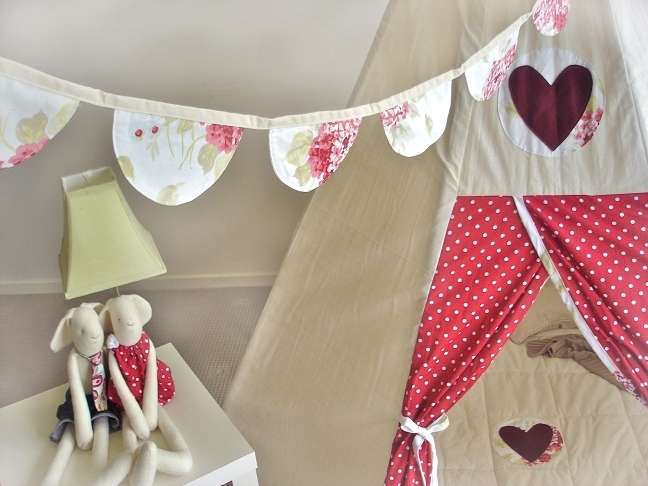 For every teepee order placed on March 10th at Kaleidoscope Market, you will receive your bunting flags FREE. For more details you can see the flyer here, and then come along to Kaleidoscope to order your Teepee and get your bunting for FREE.